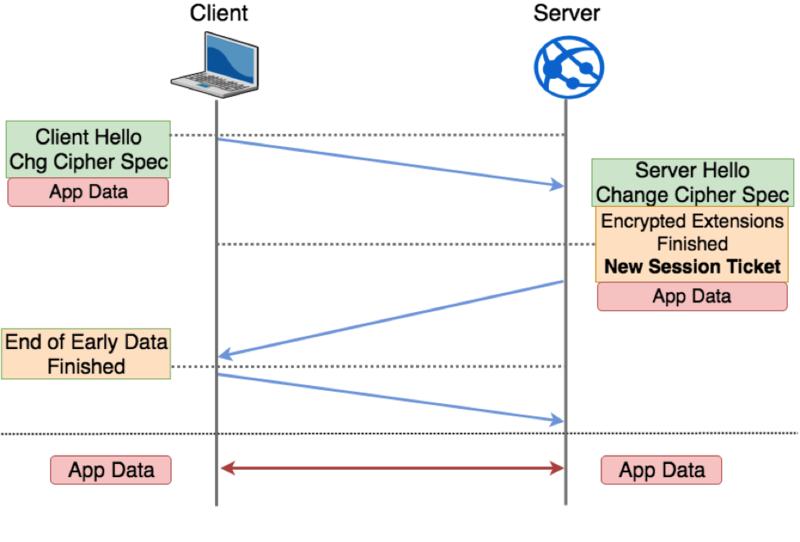 TLS was born as a substitute of the ancient secure sockets layer (SSL) protocol, which was starting to show its age and was open to multiple types of attacks. The first version of TLS, 1.0, was created in 1999 and it was based on SSLv3. Since then, TLS 1.1 (2006) and TLS 1.2 (2008) were created to improve previous versions of the protocol, solving some of the security weaknesses that security researchers discovered in the past two decades. TLS 1.3 is the new protocol version. It is not officially released yet, but it is in the final stage, just waiting for the final approval. In any case, some important vendors and open-source projects are currently supporting it. The TLS 1.3 Working Group released multiple iterations (drafts) that refined and improved the protocol in the past four years. One of the outcomes of that hard work is that TLS 1.3 has been simplified, and several vulnerabilities were fixed. For example, in TLS 1.2, the number of ciphers supported was high — maybe there were too many — and the working group decided to limit this new version to support only five ciphers. This can improve performance, but it has some known security implications. For all of the Talos-related fun at Black Hat and DEF CON, be sure to read our complete guide here. We are looking forward to meeting and seeing everyone at Black Hat and DEF CON. Be sure to come by booth #504 and say hello. And, of course, pick up a new, limited-edition Snort pig for your collection.